Kelowna and the Okanagan Region’s first choice for secure, indoor, heated boat and personal watercraft storage, and marine services. 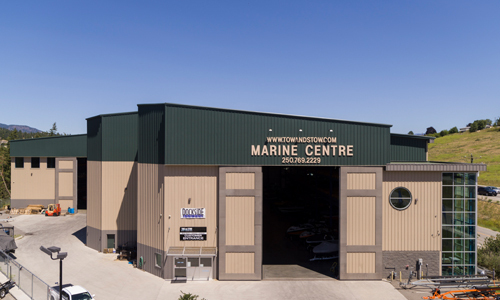 Located on Highway 97 midway between downtown Kelowna and West Kelowna, Tow and Stow Dry Marina is conveniently located in the Central Okanagan. Hassle free boat collection & delivery anywhere from the Shuswap to Osoyoos ensures boat storage worries are a thing of the past. Our services are aimed at maximizing your boating pleasure, and you will find our boat storage and services pricing to be reasonable.